Not satisfied with using machines originally designed for metalworking, specialist seal manufacturer Seal Maker set out develop a machine of its own. Working closely with long-time partner FANUC, Seal Maker developed a machine specifically designed for plastics processing. At its heart is a FANUC Series 0i-TD CNC control. 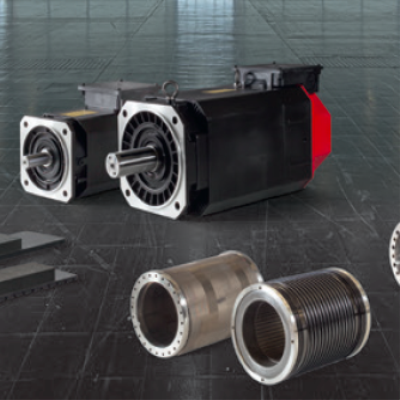 Given light-weight construction and the lower forces involved in machining plastics, smaller, more efficient FANUC drive motors are also used in the machines. At the MDA India 2009, Seal Maker unveiled the SML 500e. Since then over 120 machines have been built. Expanding its range further, Seal Maker also uses FANUC’s Series 0i-TF control in later machines. Offering a huge range of options and additional features, FANUC CNCs provide manufacturers with enormous flexibility when machining plastics. Machined seals are not only required for repair and maintenance tasks but are increasingly gaining importance among OEM suppliers. This growing acceptance is enabled by manufacturing systems on which the software and turning machine are optimally matched to the materials and provide an economical solution. Perfectly fulfilling these conditions is the SML 500e machine, developed by Seal Maker and equipped with FANUC CNC and drive technology. Seal technology is extremely diverse. The market is made up of the most diverse shapes and materials, along with unit sizes ranging from one to well into the millions. Accordingly, the manufacturing processes are very diverse. In addition to traditional seal production involving injection moulding, manufacturers are more and more frequently using systems involving machining and utilising turning technology. Seal Maker GmbH from the Austrian town of Pöttelsdorf is specialised in the development, production and sales of short bars and tubes as well as machine systems for their finishing. Johann Glocknitzer, Managing Director and owner of Seal Maker, explains: "Unlike traditional seal manufacturing via injection moulding, our system offers efficient production of small-to-medium unit sizes. The manufacturing of special dimensions and special profiles is also possible using the machining method." Seal Makers' success formula is: "Semi-finished material + lathe = seal". Thus, the current product range features more than 30 different materials, which – delivered as semi-finished products – comprise some 55% of sales. Another mainstay of the overall system are the processing machines that in the meantime contribute to some 25% of Seal Maker's sales. The remaining 20% comprise the company's own seal production, which is intended "solely as backup for our customers who are already sourcing semi-finished products and machines from us", reports Johann Glocknitzer. After all, under no circumstances does he consider his company a seal supplier but rather a service provider for the seal industry. Production is part of service, which enjoys a high priority with Johann Glocknitzer: "Many of our customers only operate smaller machines, or their production capacity is not sufficient in the meantime. We are willing to jump in and produce the large dimensions for our customers, but also larger unit sizes." The experience gained from this service benefits the company in two respects. First of all, it strengthens customer loyalty, and second, invaluable expertise develops from it, which can flow into software and machine engineering. Up until recently, the Seal Maker range of machines consisted of six models of various sizes and equipment, capable of producing seals with maximum outer diameter of up to 720 mm. Seal Maker modifies these lathes sourced from third-party manufacturers for its special requirements in seal production and also equips them with its own SML software, tools, holders, suction system, as well as a chip shredder. The company also offers maintenance and repair of these SML machines, along with hands-on training. But Johann Glocknitzer was still not satisfied with these machines. Because the lathes originally designed for metalworking are somewhat oversized for seal manufacturing. That is why the CNC development department at Seal Maker began thinking about its "own" production system, which is specially designed for plastics processing. It was not only the need for technical optimisation but also the call for more economical machines that finally led this idea to become a concrete project. The result: At the MDA India 2009, Seal Maker unveiled the SML 500e, its first model in its own machine series, encapsulating all the experience of recent years. Today, over 120 machines of this machine model have been built and successfully installed in the market. As a partner on the control and drive side, the CNC specialist FANUC stood ready to assist the developers. Since the purchase of its very first CNC lathe, Seal Maker has been working with FANUC. That machine was equipped with a FANUC control and used as the basis for the company's own software development. Subsequently purchased machines were also equipped with FANUC CNC. In the years between 2004 and 2007, Seal Maker also included other controls in the machines at the customer's request Johann Glocknitzer was not pleased about this. As he points out: "It basically did work, but the users had to accept deficits with respect to operating convenience and overall user-friendly presentation of the programs. What's more, there were problems with the local service. In this regard, as specialists in the field of seal technology, we rely on support from control manufacturers. FANUC provides us with optimal support, so that in the meantime, we equip our systems exclusively with FANUC. Currently in the SML 500e is a FANUC Series 0i-TD CNC control, which will soon be replaced by the Series 0i-TF. Because the SML 500e is designed as a light-weight construction – whereby it is ideal for the lower forces involved in plastics machining – it was possible to use smaller, more efficient drive motors. The main spindle of the SML 500e is driven by a 3.7 kW (S1) / 5.5 kW (S2) motor and is thus significantly more energy-efficient compared to comparable machines and their typical 11 kW (S1) / 15 kW (S2) (11/15kW). The X and Z axis is driven with 1 kW motors. In the development phase, care was also taken to ensure that the accuracies of the machine complied with the state of the art. With a high precision guidance system, accuracy in the thousandths range is guaranteed, which is also validated on each machine using a special measuring device. An SML complete system also features a CAD/CAM software developed by Seal Maker, which is installed the PC delivered with the system. The user can select one of the over 200 standardised seal provides there. Within seconds, the software fully automatically generates the complete CNC program, including the tool selection. Simultaneously, various data sheets as well as tolerance recommendations are generated, in order to create a technically flawless seal. This guarantees a time advantage when setting up the machine, as programming on the machine is no longer necessary. In addition to the standard profiles of the Seal Maker software, which can be individually adapted, seal manufacturers can also use the optional workshop programming interface Manual Guide i from FANUC. It offers the opportunity of quickly and easily programming special profiles on the machine. For the current control model 0i-TD on the SML 500e, the safety function, Dual Check Safety, is also being used. This safety function complies with current international safety standards and monitors safety critical machine areas. The result is added safety for the operator and the machine. Johann Glocknitzer is convinced that he has found the right partner for control and drive technology in FANUC. He emphasises: "We have now been working successfully with FANUC for several years now, and we are convinced of the high reliability and product quality of the CNC controls." During the development phases of our machine systems, the competent FANUC machine employees stood ready to assist our team with guidance and resources, so we will also continue to work closely together in the future." The range of machines has been expanded by 2 additional machines over the last few years. For the large seal segment, carousel lathes were built, enabling seal production of up to ø 1850 mm. In addition, developments were made in the field of driven tools (full-fledged C axis), and in the area of automation. Always in close collaboration with FANUC, thus enabling options to be created for our machines that provide a significant added value for the customers. The CNC control 0i-Model D is known for its easy operation and additional functions which were previously reserved to the high-end control segment. Furthermore, all 0i-Model D controls are equipped with Embedded Ethernet and thus ideally prepared for networked communication with PC-based systems. As an added feature, the controls contain a PCMCIA slot for a flash memory card. Additional advantages arise from the use of the integrated safety function, Dual Check Safety. It complies with current international safety standards and monitors safety-critical machine areas. An additional benefit is provided by the FANUC operator software Manual Guide i. It combines two programming methods in one software application. Depending upon the needs and requirements, the operator can choose between dialogue programming and traditional DIN ISO programming. Already existing programs can also be used in the future, and even enhanced. 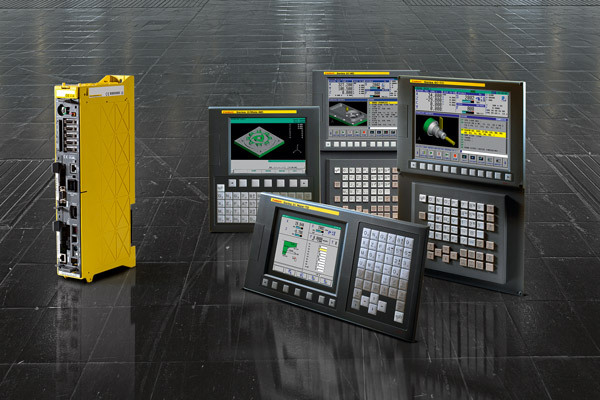 Also available is the FANUC Program Transfer Tool, a PC software application for managing the subroutines and tool offsets. Data exchange with the CNC is handled via an Ethernet connection. Seal Maker is a worldwide active manufacturer of high-quality semi-finished products, CNC lathes and seals that are used in all sectors of industry. Since its establishment in 1997, Seal Maker has been on an exceptionally successful growth trajectory, and now has a satisfied customer base comprising companies from more than 60 countries on all the continents. In addition to the guaranteed quality of products manufactured, Seal Maker's particular strengths lie in service, flexibility in producing custom solutions, short turnaround times, as well as reliability in order processing. Currently, the company employs a staff of some 100 employees at its headquarters in Pöttelsdorf (Burgenland/Austria), who generated sales of 14 million Euros in 2014. Group affiliates in Kapfenberg are responsible for regional markets in Austria, in Shanghai for China and in Singapore for Southeast Asia/Japan/Australia.